We are all wild, It's just that civilisation keeps getting in the way. As everyone who has patted a dog, smelled a rose, taken a walk, or even had a drink in the garden well knows, humans have a soul-deep need for non-human forms of life. This book is about pushing our birthright of wildness just that little bit further. 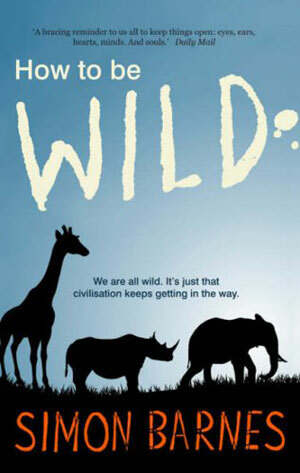 In How to be Wild, Barnes takes us on a year-long journey, from one raucous spring to the next, with elephants and mosquitoes, dolphins and flying squirrels, giraffes and butterflies as his companions. And again and again, he helps us to realise an essential truth: that by enjoying the wild world, by seeking to understand the wild world, our own lives become richer and more satisfying. A bracing reminder to us all to keep things open: eyes, ears, hearts, minds. And souls. This book - packed with so much insight and so many descriptions of wildlife encounters, always right on the button - leaves little for others to write.